Silicon Island: Sun Ray Takes the Red Pill: APOC Goes Open Source! 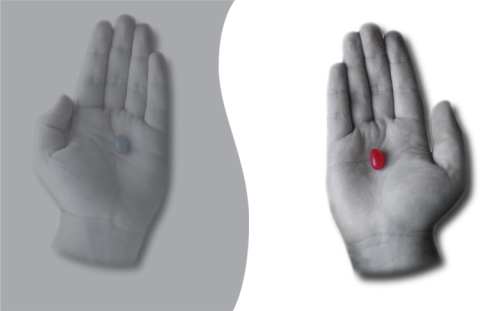 Sun Ray Takes the Red Pill: APOC Goes Open Source! Finally, after 8 months of hard work behind the firewall, we've made available the source code of A Point Of Control (APOC) under the freedesktop.org's umbrella. This is the first project released under an open source license by the Sun Ray group for which I work at Sun Microsystems. APOC provides capabilities to centrally manage desktops and desktop applications in large scale deployments. It enables system administrators to deliver securely configured open source desktop environments tuned to the needs and privileges of specific users, roles, groups or hosts within the organisation. Now, any system administrator can create grouped configuration settings as profiles for the most popular open source desktop applications and deploy them in their LDAP servers using their already existing hierarchy. What applications does APOC support so far? Support for applications are provided through adapters, so far we have only released the GConf adapter which is in the GNOME's Subversion already. The Firefox/Mozilla adapter will be ready pretty soon. StarOffice has support for it out of the box already, however, we haven't started any roadmap to release the adapter code as an OpenOffice.org extension yet since we've been pretty busy with the core. What does this mean from the open source desktop perspective? It means that a big Unix/Linux deployment using a free software stack is a little bit more tasty for sysadmins, and we're on feature parity with what Microsoft's ActiveDirectory has been offering for a while already on the closed source desktop side. What license have you chosen? We have released the code under the CDDL/GPLv2 dual licensing model, as our neighbors from NetBeans has done recently. This will deliver both the flexibility of CDDL and the compatibility with the GPLv2 code out there so we can reach the maximum community audience. Originally the code was developed to run in a small set of supported platforms (Solaris and some version of Linux), we've made some changes to make it more generic and allow people to try it from a wider amount of platforms, we need people to try it and report any issues that may arise. We want APOC to be present in most open source operating system distributions, we're supporting Solaris here at Sun already so if you're a distro packager for any of the Linux or *BSD major distributions, you're more than welcome. So far we only have adapters for the Mozilla/Gnome/OO.org stack. We would love to see adapters developed for other desktop environments and applications (any KDE brave hacker around? ), APOC is not desktop specific, it could be useful for any application installed on large scale deployments. One tip for the OpenSolaris guys, a SMF backend would allow sysadmins to control which services are enabled or disabled on your build farm if an adaper is developed. Visit the APOC website, join the mailing list and the #apoc channel at irc.freenode.net for more information.